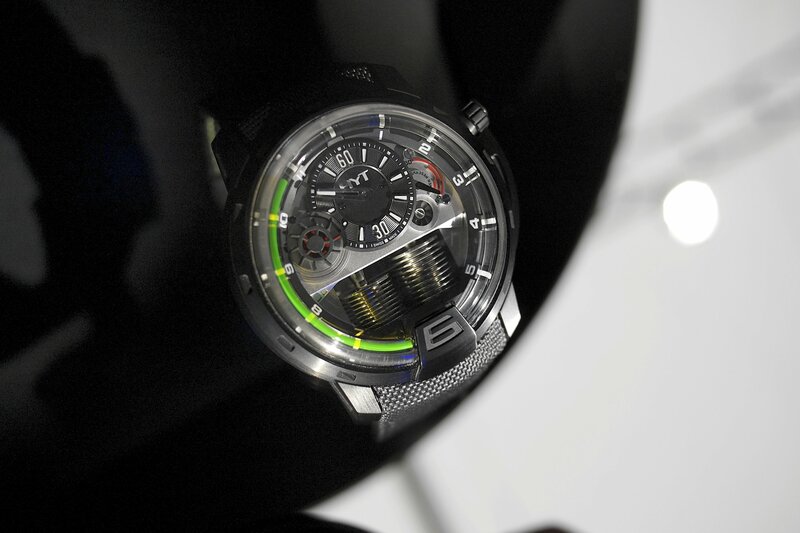 One of the stars of Baselworld 2012, was the awesome liquid mechanical HYT H1, created by the Hydro Mechanical Horologists. It is the first ever timepiece to display hours via a phosphorescent liquid filled tube. Yesterday, I sat down with brand CEO and creative genius, Vincent Perriard, and he gave an in-depth explanation of the creative process, from design to production, including some of the difficulties they encountered, and the micro engineering solutions they’ve implemented to solve each problem. 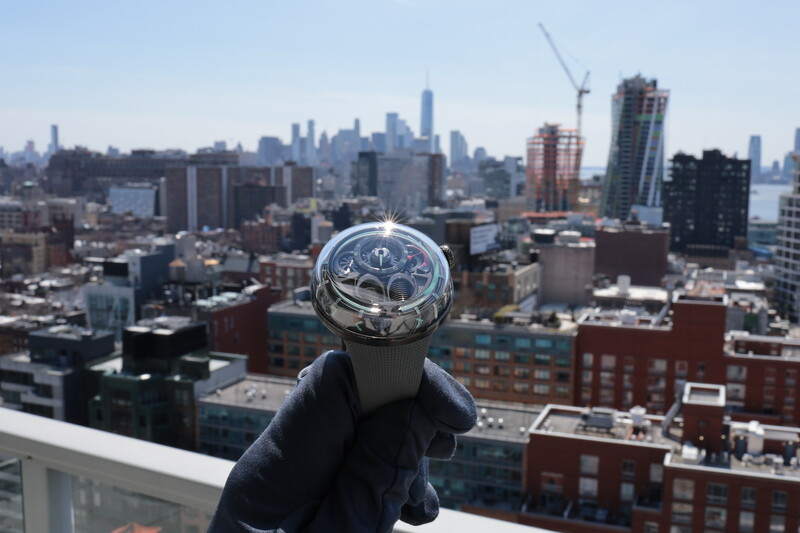 The result is an undeniably cool timepiece that is comparable to nothing the watch industry has ever seen, truly innovative. And remember, this is only the beginning, version one; Vincent has assured me that there is so much more to come! 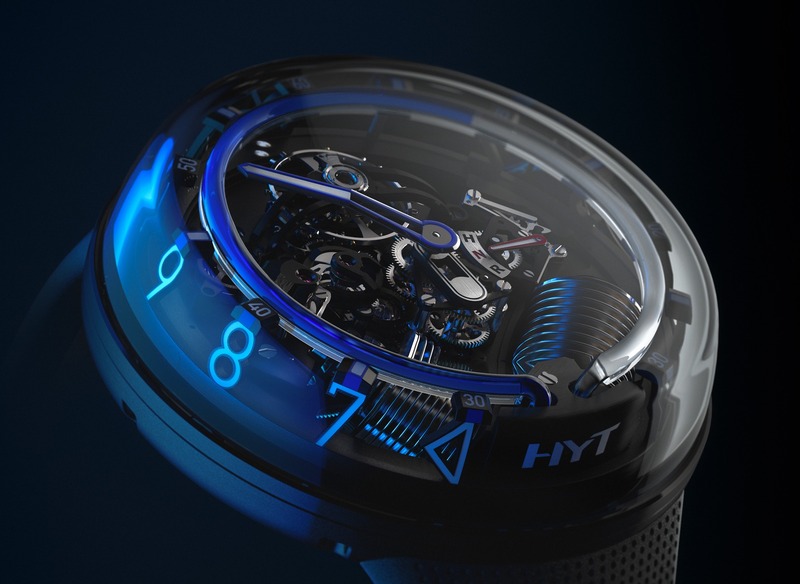 Read more about the HYT H1 here. Also, we will publish a 10-minute video from our meeting with Vincent, including a walkthrough of the watch, later this week. Stay tuned. Retail is $45,000. 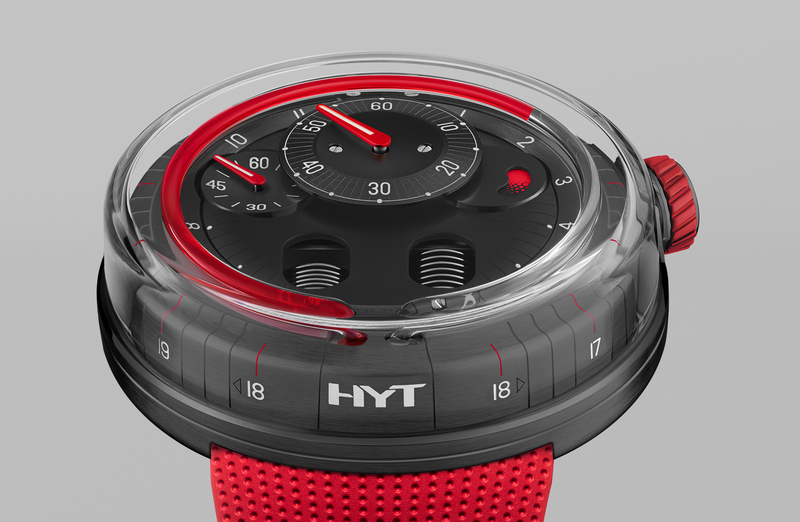 Learn more at HYT.